Food for thought: Every day North Texas Food Bank (NTFB) distributes 190,000 meals to hungry Texans in 13 different counties stretching from Ellis to the edge of Oklahoma. And still…more than 60,000 people go without food each day throughout our community. 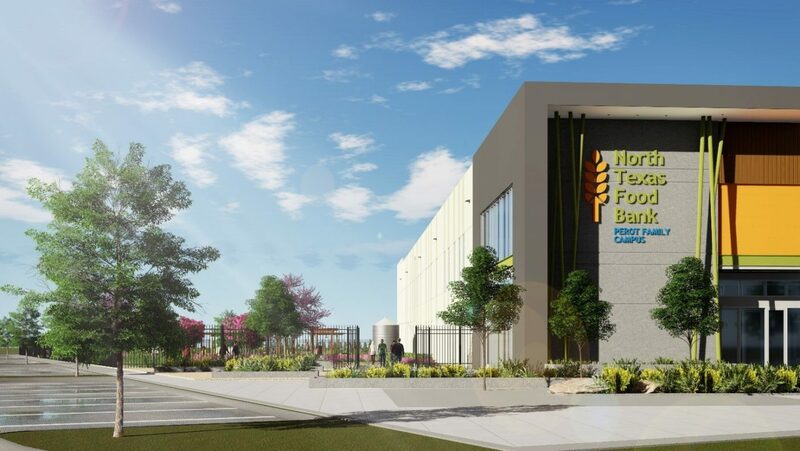 NTFB recognized the need to move their operations to a more centralized location and recently completed construction on a massive 220,000 square foot facility in Plano–nearly three times larger than their previous distribution center in South Dallas. 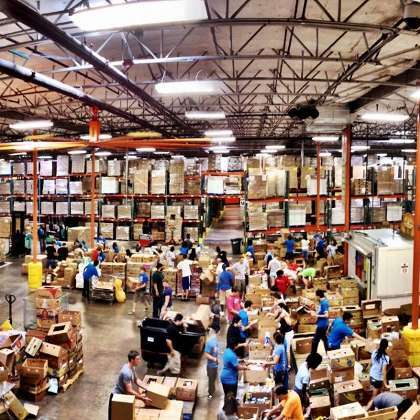 North Texas Food Bank runs a complex distribution network, volunteer coordination services, and donation storage and inventory operations. They’re busy folks, to put it mildly. A larger facility and growing team demanded the latest technology to allow everyone to get up and running on day one. The non-profit chose c2mtech as a strategic vendor for voice, data and audio/video communications. c2mtech partnered with Legrand Ortronics to run Category 6 cabling throughout the new facility. Wire management was organized via racks into telecom closets. A scissor-lift was required to install cabling in the ceiling above the 3-story high warehouse. 10G fiber from Corning was connected by c2mtech to deliver high-speed internet access via Spectrum at 100mbps. Cisco Meraki with access points provided secure wireless internet access throughout the facility. With setup complete, the network was extensively tested before opening day. c2mtech connected 16 Samsung UHD Essential TV’s for employee meeting spaces and conference rooms. At c2mtech we strongly believe in the North Texas Food Bank’s mission to end hunger in Texas, which is why we donated three brand-new 50” TVs (Cowboys games never looked so good!). Our team enjoyed building the IT infrastructure necessary for NTFB’s migration to Plano. Our company looks forward to supporting the non-profit’s IT for many years to come. Click here to learn how you can get involved and support the North Texas Food Bank.